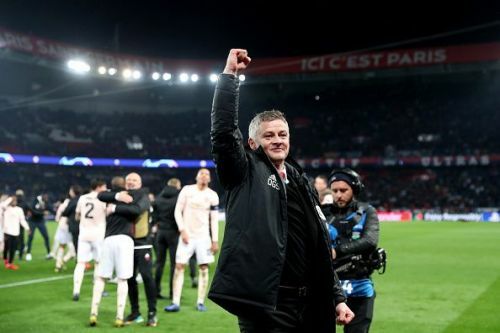 Manchester United pulled off a miraculous comeback against all the odds at the Parc Des Princes yesterday night. It was a huge win for The Red Devils who didn't have a full-strength squad but won without many of their first-team players and that is absolutely unbelievable. An aggregate score of 3-3 was enough to send the Red Devils through as they had a superior away goal record from the tie. The first half saw Manchester United take the lead as early as 2 minutes via a Romelu Lukaku effort, but PSG pulled the goal back almost immediately when Kylian Mbappe set up Juan Bernat in the 12th minute. However, Manchester United got their second with Lukaku stepping up once again and tapping in from 5 yards to give his team the lead as they entered into the second phase of the game. PSG attacked intensely in the second half but were guilty of missing a couple of decent chances. 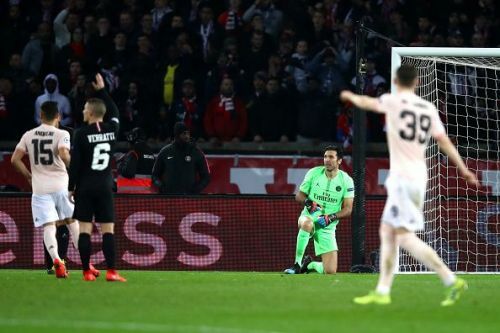 They Parisians were made to pay for it when United were awarded a late penalty kick which Marcus Rashford's converted to send the Red Devils through. The first two goals scored by Manchester United came from nothing but mistakes from PSG's defense. The first one came very early as Thio Kehrer misplaced his pass to Thiago Silva and sent Romelu Lukaku through to get the first goal Manchester United were looking for. The second goal was also a mistake from veteran goalkeeper Gianluigi Buffoon. He terribly miss handled a shot from Marcus Rashford and the Belgian was there again to score United's second. It was such a disappointing error from the former Juventus guardian. You simply can't make these mistakes if you have to win a competition like the Champions League and these were very naive errors from PSG which again cost them very dearly. They have been knocked out of the Champions League once againat the Round of 16 stage and this will really hit hard on those associated with the French club.